Second territory purchase for George in just over 12 months! 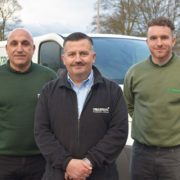 Early in 2018, George Michaela underwent significant training with us and became the proud owner of TruGreen West Midlands along with his son, Paul. 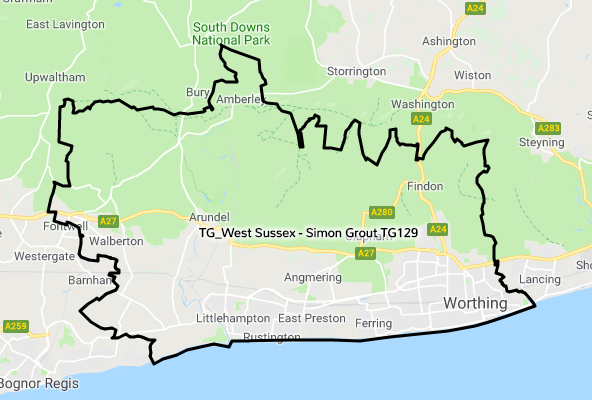 However, when he heard earlier this year that a territory next door to him was up for sale due to the retirement of the business owner, he decided to extend his network and purchase TruGreen Arden. “I’ve built a successful business with family in the past and then it became time for something new. I was looking for inspiration for a new business when I noticed the technician treating my lawn and thought, I could do that! 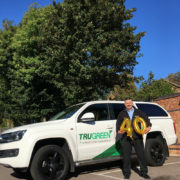 “My first year with TruGreen was exceptional and I quickly built up a customer base in West Midlands, so when TruGreen Arden came up for sale, I decided there and then I wanted it and I wanted to extend a vastly growing business. 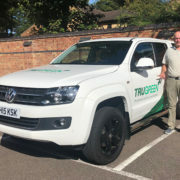 George has proven that there really is no upper limit with a TruGreen franchise! 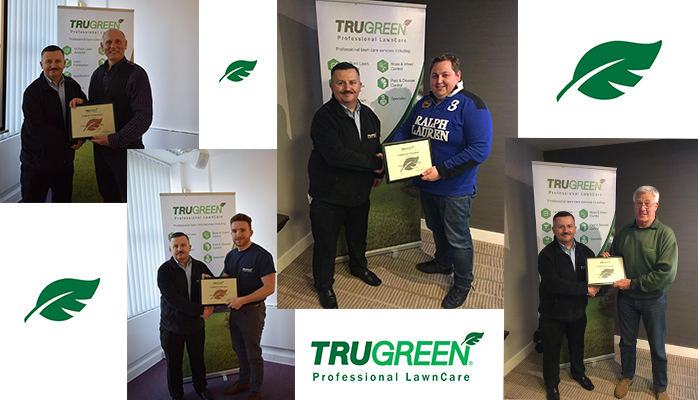 At TruGreen Professional Lawncare we pride ourselves in offering our franchisees the very best support, as we aim for strong sustainable growth in our business. We believe that the franchisor and the franchisee working together, maintains a strong and stable network, and while strong growth is beneficial to both the Brand and every individual business, we regularly look to reward our franchisees that achieves these objectives, through our Leaf Awards. Throughout each quarter of the year, we hand out Leaf Awards in recognising sustained monthly revenue over a three month period, with each franchisee receiving a certificate and branded polo shirt embroidered with the appropriate coloured leaf, ranging from a bronze award in achieving an average revenue of £5000 per month, to a diamond award in achieving an average revenue of £25000 per month. 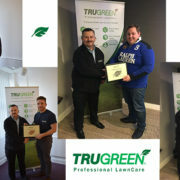 These awards have become a firm favourite with our franchise network, and are presented in the company of their fellow peers at our regional meetings, and are not only a great incentive to maintaining a competitive edge, as everyone enjoys growth in their business, but are allowing for TruGreen Professional Lawncare to meet its objectives of strong sustainable growth, as there is no upper limit to what we can achieve with the Brand. 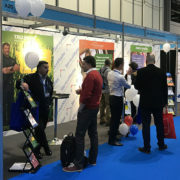 TruGreen are proud to be exhibiting at the National Franchise Exhibition at the NEC Birmingham on Friday 15th and Saturday 16th February 2019 for the third year running. 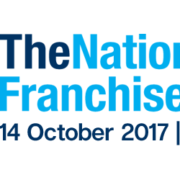 The National Franchise Exhibition gives us the perfect opportunity to meet as many budding entrepreneurs and business investors as possible, so that we can find out more about you and tell you more about us. It’s also a great opportunity for you to do your research in to other franchisors, business sectors, finance providers and the benefits of being part of a franchise who are affiliated with the bfa (British Franchise Association). To book your free, no obligation 30 minute introductory session with TruGreen Brand Manager, Steve Welch – click on your chosen day and time. You will be redirected to your email browser to send us your preferred session by email. We’ll confirm upon receipt. If you’d prefer to meet with us at your own leisure over the two-days, that’s no problem. You can find us on Stand C45 in Hall 10 of the National Franchise Exhibition, NEC Birmingham. Don’t forget to book your complimentary tickets, you can do so here. We have an established lawn care business for sale in Sussex/Surrey. This business was established in 2005. 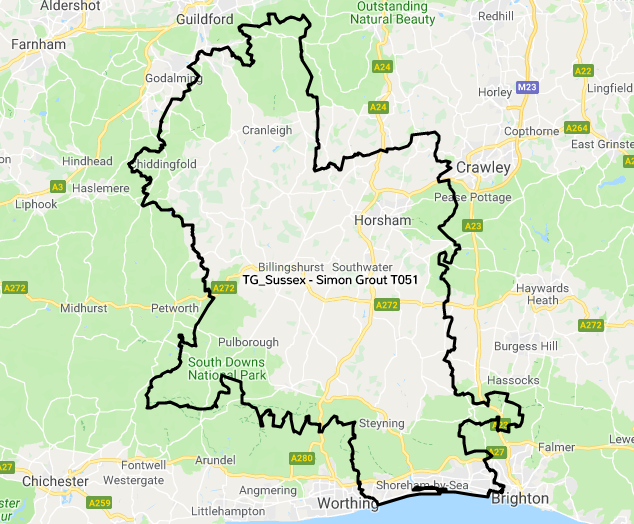 The business is licensed to provide professional lawn care services to residential and commercial customers within two defined territories which have approximately 145,000 households, one territory covering Sussex and Surrey with the other area covering West Sussex. The business delivers the following professional lawn care treatments: Fertiliser applications moss and weed control, pest and disease control, plus mechanical treatments of aeration and scarification. Other services can be offered and a full inventory of additional services will be provided by the franchisor. This business currently has in the region of 280 regular residential customers. These customers are on yearly agreements, with a programme of 4-5 treatments per annum. There has been year on year marketing completed in the area, providing an opportunity for any potential purchaser to develop the business through further marketing opportunities. This business is presently a two man/one van operation and does currently have one employee as part of the business. The franchised territory covers the below area defined by the maps. This is a well-run and operated business and the sole reason for the present franchisee looking for a sale, is due to health reasons, as he looks to take early retirement in gaining a return on his investment. Scarifier, aerator, spraying equipment, fertiliser applicators, hand tools and products remaining in stock. A full inventory will be made available on making an enquiry for the business. Two-week training before commencement of trading provided by the Franchisor covering all aspects of operating the business. On-going support, help and advice from the TruGreen Brand Manager. Access to the on-line shop for bespoke products, equipment and uniforms. At present no van is included in this sale, but the selling franchisee may be prepared to discuss this as a separate item which will incur an additional cost. The lawn care industry is huge. With 26.4 million households in the UK and approximately 90% of them with gardens, coupled with the potential in the commercial lawn care market, it’s an industry very much worth being a part of. For further details on this sale, please download and complete the Non Disclosure Form and contact us on 0116 275 9005 or franchisesales@servicemaster.co.uk. TruGreen, one of the UK’s leading lawn care franchises, has been named in the top 80 franchises in the UK, by Elite Franchise. 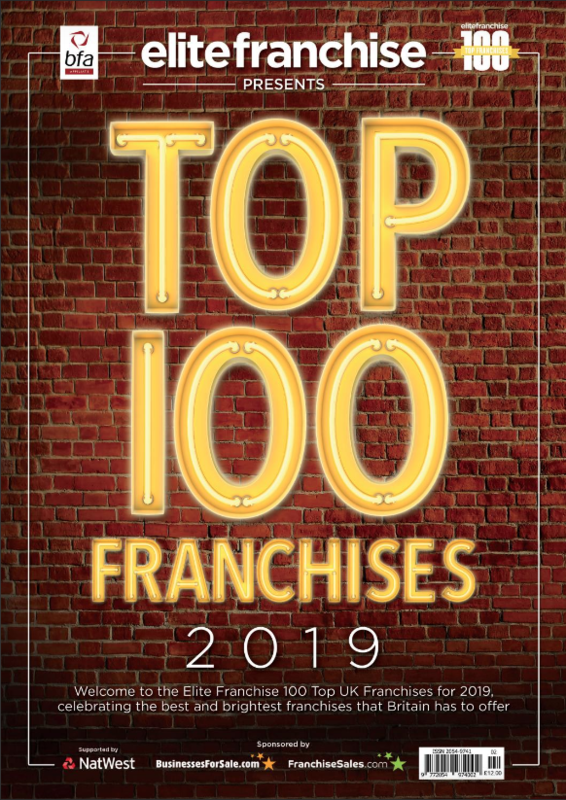 The Elite Franchise Top 100 Franchises recognises the sector’s brightest businesses and ranks them according to a broad range of criteria from their financial performance and heritage in the industry to their contribution to the community and the way that they embrace innovation. Ranking applicants from 100 to one, the guide defines the best opportunities in the UK. TruGreen featured in 77th place in the guide and was joined by fellow franchise brands under the ServiceMaster franchisor umbrella, ServiceMaster Clean (23), Merry Maids (45), Rosemary Bookkeeping (75) and Furniture Medic (90). It’s been a great almost eleven months so far of 2018. Many milestones hit, new business owners welcomed to the network and even more beautiful lawns on display around the UK. The year started off very well with two new business owners joining the network. 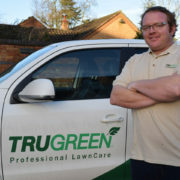 Mike Simmonds of TruGreen Gloucester and George Michaela of TruGreen West Midlands started their new lawn care ventures with our franchise. You can read more about this story, here. Spring time saw the beginning of the ‘Golden Quarter’ where our technicians were flat out starting the process of making lawns beautiful. We also added to our franchise network once again with the addition of Andrew Jack of TruGreen North East. You can read more about this story, here. 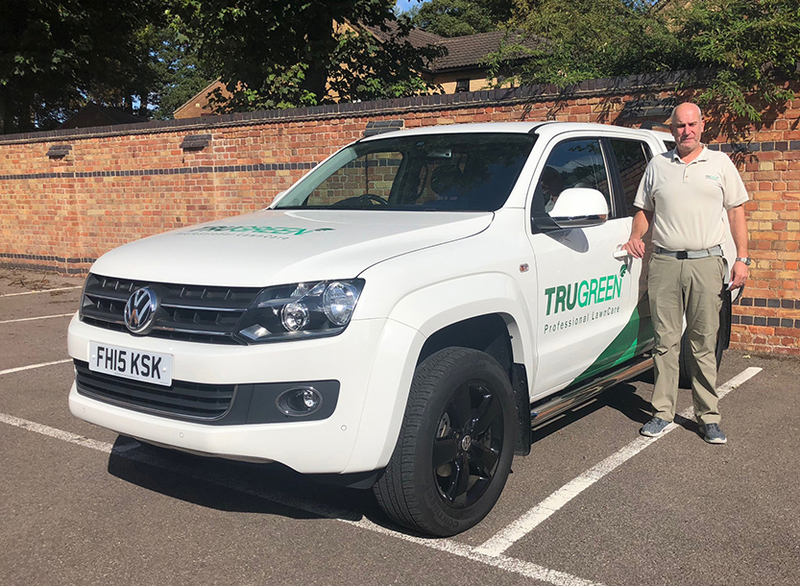 We caught up with Robert Grant of TruGreen South Lincolnshire in Spring who was pleased to report that after just 20 months in business, he had grown his investment by +223% with the help and support of our professional team at the Franchise Support Centre. You can read more about this story, here. In June we exhibited at the Northern Franchise Exhibition in Manchester. It was a fantastic show (the 3rd so far of the year) and once again we met some fantastic individuals looking to make their dreams in business a reality. The hot summer did some terrible damage to lawns around the UK, so our business owners really did have their work cut out. 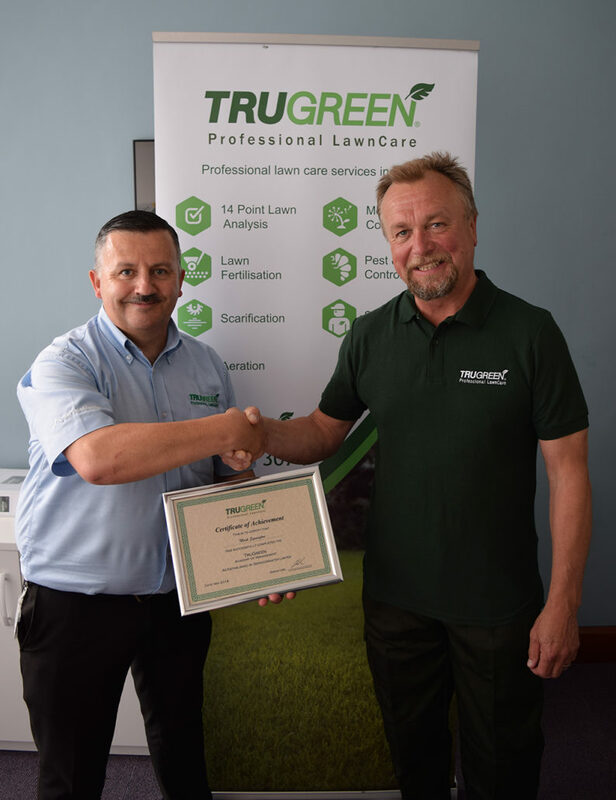 It seemed only right that we introduced another business owner to the network to help rescue our lawns and as such, we welcomed Mark Symington of TruGreen Hereford & Worcester. You can read more about this story, here. Despite the scorching weather (that’s exactly what was happening to the grass plant! 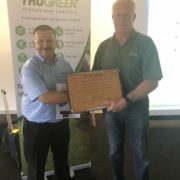 ), Mike Simmonds of TruGreen Gloucester hit the huge milestone of 100 customers in his first 6 months in business. What an achievement! He even gifted his 100th customer Patricia with a beautiful bunch of flowers. You can read more about this story, here. At our Summer Regional Meeting, we were honoured to award the Franchisee of the Year Award. For 2017 it went to Oliver Green of North Hants & West Surrey. Oliver has owned his TruGreen business since 2005 and has contributed greatly to the success of the network over the years. He truly deserves this prestigious award. You can read more about this story, here. 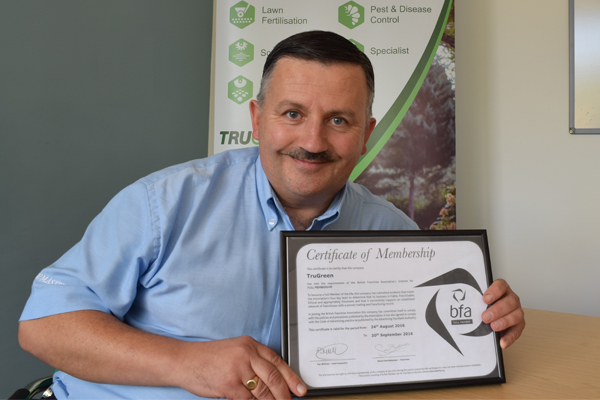 Ahead of the ‘Silver Quarter’ we were pleased to welcome Aidan Potts of TruGreen Northumberland & Carlisle to our ever-growing network of TruGreen business owners. Aidan bought one of our rare resale opportunities to give him a head start in business and he was able to get cracking straight away, thanks to an already established customer base. You can read more about this story, here. I’m not one to talk about myself too much, but this year I celebrated my 40th year in the lawn care sector. This was a massive achievement not only in my career, but for me personally as it is what I love. 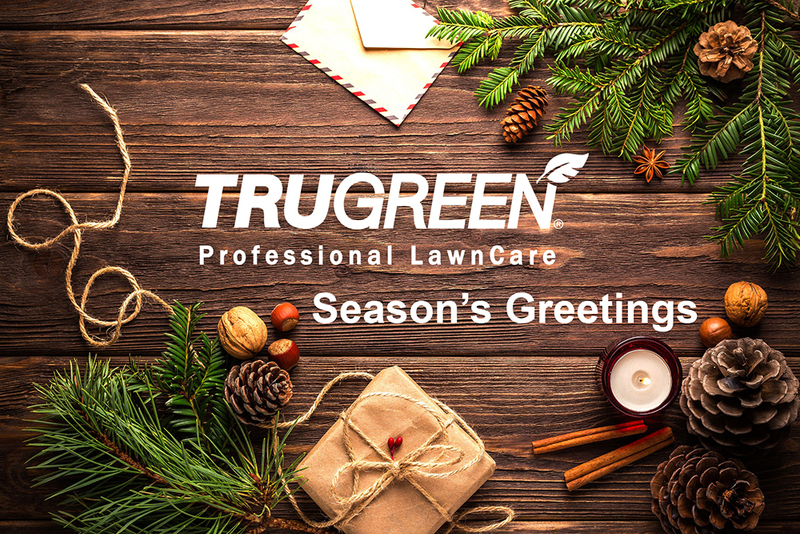 Lawn care is a growing sector and I’m really proud to have been able to shape it with my contribution along the way and in my every day role at TruGreen Professional Lawn Care. You can read more about this story, here. You guessed it! Back again by popular demand at the National Franchise Exhibition in Birmingham. The busiest show of the year meant that we were quite stretched, but we managed to speak to as many budding entrepreneurs as possible. As the final show of the year, we have packed up our stand for the final time, ready for an all new and exciting format next year. Register your interest to come and see us! You can read more about this story, here. The winter months are a very busy period for us. Our TruGreen business owners are getting in their last annual treatments and preparing annual treatment plans for next year. Us on the other hand, we are planning our training academy dates for 2019 and are currently looking for ambitious individuals to join our growing lawn care franchise. If you’re ambitious and are looking to make your dreams in business a reality, I look forward to hearing from you! 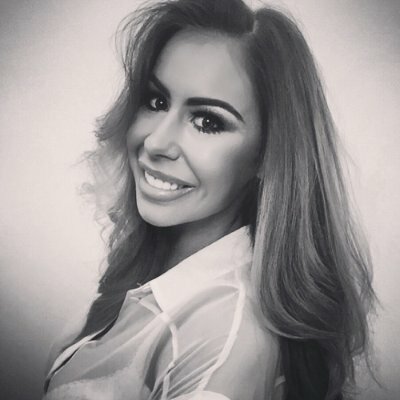 https://trugreenfranchise.co.uk/wp-content/uploads/2014/02/trugreen_leaf.gif 250 250 Emma Nicholson https://trugreenfranchise.co.uk/wp-content/uploads/2013/04/trugreen_franchise_logo_2.gif Emma Nicholson2018-12-07 16:07:582018-12-07 16:25:07TruGreen Franchise - 2018 round up! September 2018 marks a very important point in Steve’s career as he hits the big FOUR-ZERO for his years of contribution to the lawn care sector. Steve Welch joined ServiceMaster almost 9 years ago to take care of our TruGreen franchise brand with his expertise in the wonderful world of lawn care. 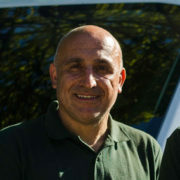 Steve brought with him a wealth of knowledge which he has passed on to our brand and our TruGreen business owners. 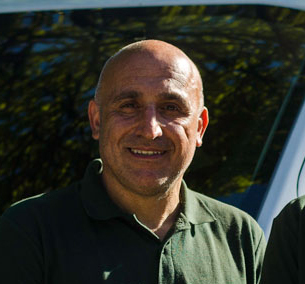 Having started his career in lawn care in 1978 at Leicester City Football Club, Steve spent 18 years there perfecting his craft and gained qualifications in lawn care and a degree in Business Management. Steve went on to share his expertise with Nottingham Forest Football club for several years and then spent 4 years working as the Grounds Manager at Wembley National Stadium. 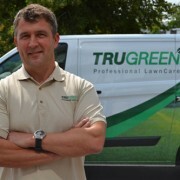 Steve joined TruGreen Professional Lawn Care as the Brand Manager in 2009 and we have been fortunate enough to benefit from Steve’s experience and expertise ever since. 1992 – Youngest appointed Grounds Manager of Leicester City F.C. 1996- Appointed Grounds Manager of Nottingham Forest F.C. It is essential for an individual to join a brand that has a brand leader who is motivated, experienced and has a wealth of expertise. Steve is always on hand to answer any questions, provide further information and offer guidance to those who need it in a range of scenarios. Congratulations Steve, here’s to the next 40! 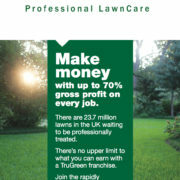 Here at TruGreen we are a huge fan of spreading the word and sharing the vision for our lawn care franchise opportunities. We strongly believe that the franchise exhibitions in which we attend, allow us to reach more people across the country, widening both theirs and our horizons. We have already attended franchise shows in Birmingham, Manchester and London this year. 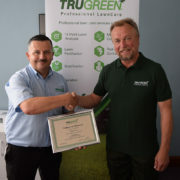 Aidan Potts has undergone significant training with us here at TruGreen Professional LawnCare and he is now the proud new owner of TruGreen Northumberland and Carlisle. Aidan previously worked as a self-employed joiner and did everything from building work to plumbing. Aidan and the previous owner of TruGreen Northumberland and Carlisle, John Davy, have been good friends for many years, and when the opportunity arose for Aidan to take over, he jumped at the chance. 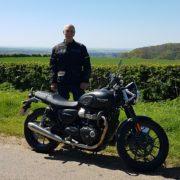 Matt Burre of TruGreen Lincolnshire is swapping his wellies for something a little different as he prepares to take part in the Distinguished Gentleman’s Ride 2018 on his modern classic Triumph Street Twin motorcycle. Matt Burre from Lincoln has joined in with some his fellow members of the Riders Association of Triumph with a pledge to raise both funds and awareness for men’s health, specifically, prostate cancer and men’s mental health. The ride will take place on Sunday September 30th in the City of Lincoln. This will be one of 650 cities worldwide to host the event. It is estimated that over 120,000 Gentleman will take part. All that is required to take part is a love for motorcycles and to dress up in the correct Gentleman’s attire, looking very ‘dapper’. The Distinguished Gentleman’s Ride was founded in 2012 and brought together over 2,500 riders across 64 cities. 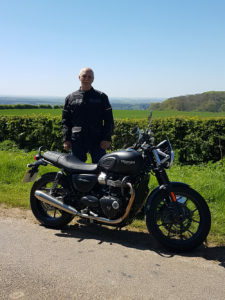 It was thought a themed ride would be a great way to combat the often-negative stereotype of men on motorcycles, whilst connecting niche motorcycle communities together. Members of the public can donate by clicking this link and search for Matthias Burre. ServiceMaster are proud to support our franchise business owners in their efforts to give back to the community. https://trugreenfranchise.co.uk/wp-content/uploads/2018/08/matt-burre-resize.jpg 1333 1000 Emma Nicholson https://trugreenfranchise.co.uk/wp-content/uploads/2013/04/trugreen_franchise_logo_2.gif Emma Nicholson2018-08-28 12:37:292018-08-28 12:37:29Matt is swapping his wellies for biker boots! TruGreen North Hants and West Surrey has been awarded Franchisee of the Year for 2017! 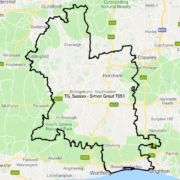 TruGreen North Hants and West Surrey is a franchise owned and managed by Oliver Green who has been successfully servicing lawns since 2005. Awards are given out each year to celebrate and recognise achievements in the categories of Growth, People, Customer and Investment, these headings form part of the organisational “North Star” used as is a simple guide to cultural performance and strategic execution for all stakeholders across the ServiceMaster community. “I’m beyond thrilled, it’s an exciting achievement to have won franchisee of the year, and for the second year running. I think it demonstrates not only that we are growing year on year, but also how important team work is to us”. The Franchisee of the Year 2017 is the most prestigious award and a pinnacle achievement within the ServiceMaster Franchise network. It is awarded to the franchisee who has displayed the highest achievement in the pursuit of excellence and professional management in the ServiceMaster tradition. Winners also get the opportunity to visit the ServiceMaster conference held in the US each year. Having previously worked as a teacher and then deputy head teacher, Oliver has now worked in lawncare for over 12 years and says he doesn’t regret his decision for one second. If you would like to find out how you could be the worthy winner of such a prestigious award some day, speak a member of our franchise recruitment team on 0116 295 9005 or franchisesales@servicemaster.co.uk – we look forward to hearing from you soon! TruGreen Gloucestershire is just four months into launching and has already reached the 100 customers milestone, far ahead of target. 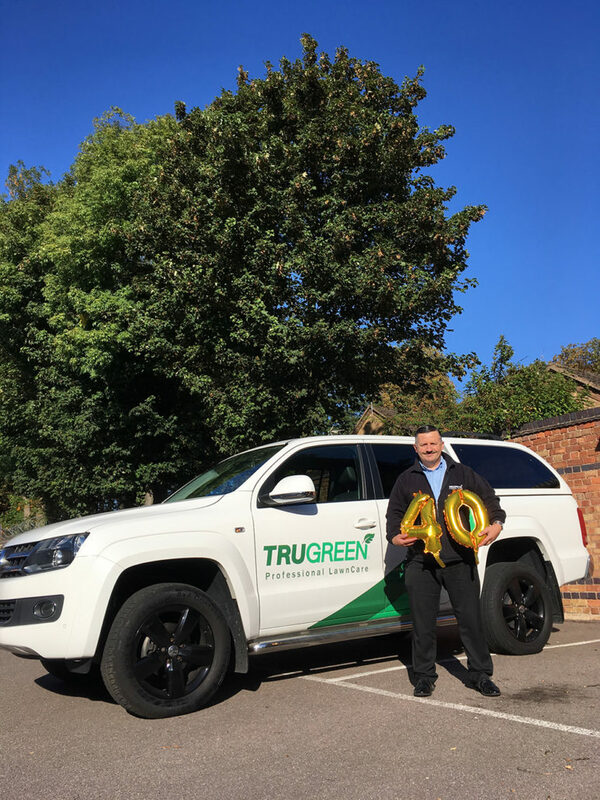 “It is fantastic to have reached the milestone of 100 customers within four months of TruGreen launching across Gloucestershire. 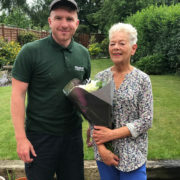 Mike hand delivered a bunch of flowers to his 100th customer, Patricia Adams from Tewksbury as a way of saying thank you. 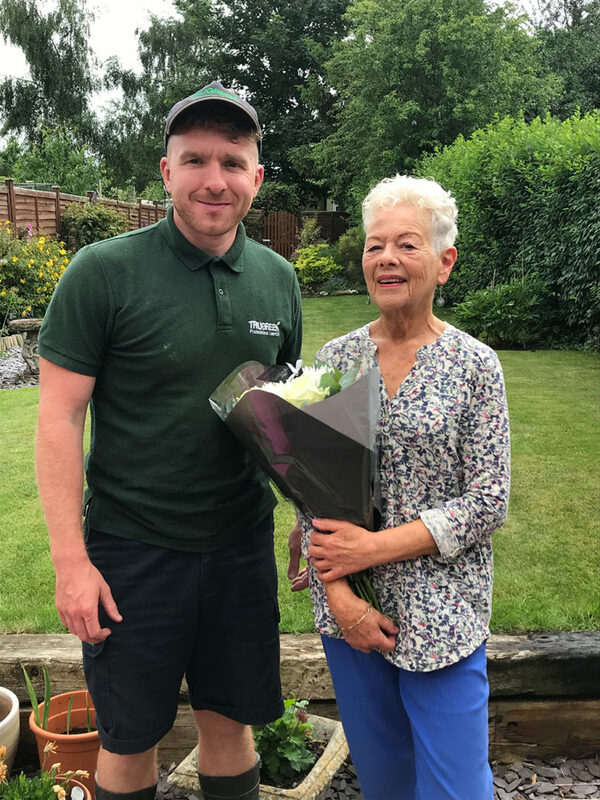 “I am delighted with the excellent service TruGreen is providing with the care of my lawns and what a lovely surprise the flowers were. Mike hopes to continue growing and aims to double this number over the next 12-months. We have no doubts that Mike will be able to do this with our unlimited support, his professionalism, expertise and drive to succeed in business. Our TruGreen network of business owners deliver a range of professional lawn care services to customers across the UK though tailored treatment programmes and one-off specialist treatments. Full training on the services that we offer is included as part of our two week training academy upon purchasing a TruGreen franchise. If you’d like to find out more about franchising with TruGreen and how Mike has hit such a huge milestone so early on in his business venture, why not give us a call on 0116 275 9005 to speak to a member of the franchise sales team. TruGreen UK are proud to welcome the newest business owner in to the franchise network, Mark Symington of TruGreen Hereford & Worcester. Having worked in the marketing and PR industry for the last 25 years, Mark understands the fundamentals of our sales and marketing franchise model. His experience will no doubt stand him in good stead when it comes to marketing his business to grow his customer base. 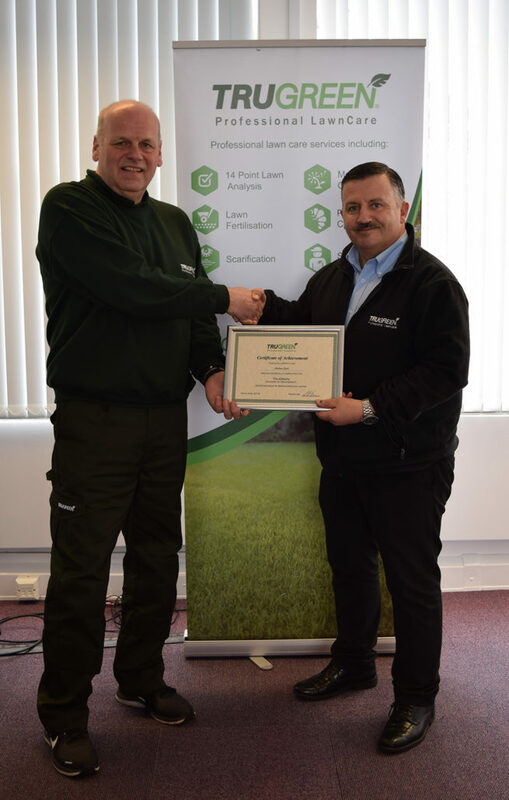 Mark has successfully completed our two-week training academy covering operations, sales, marketing, products, equipment and business management systems as part of his investment and will now be treating lawns within his territory. 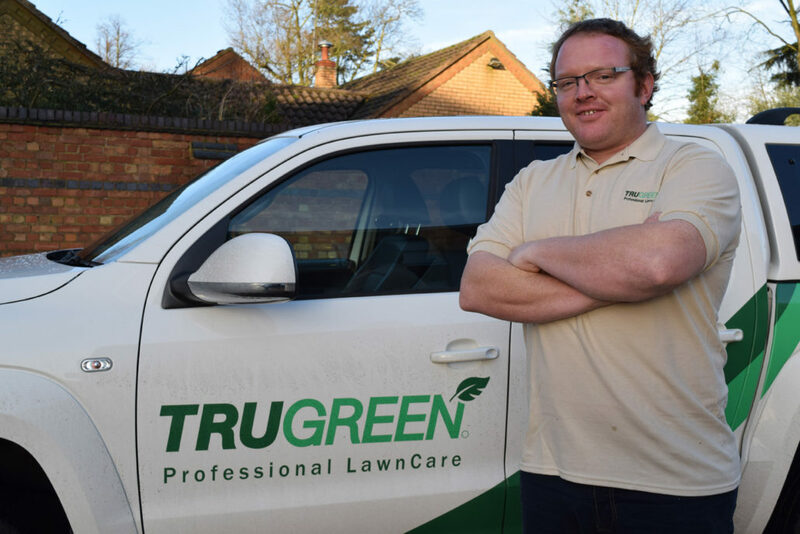 Our TruGreen lawn care franchise opportunity is suited to those looking to escape the rigidity of a 9 – 5 job to spend time outdoors during flexible working hours. Building relationships with customers is a must, in order to provide a tailored lawn care programme to those with problematic lawns and a desire to have a perfect carpet of grass. A Longframlington businessman has made a switch from working in procurement in the housing sector to professional lawn care as he launches his own franchise business to serve customers across the North East. 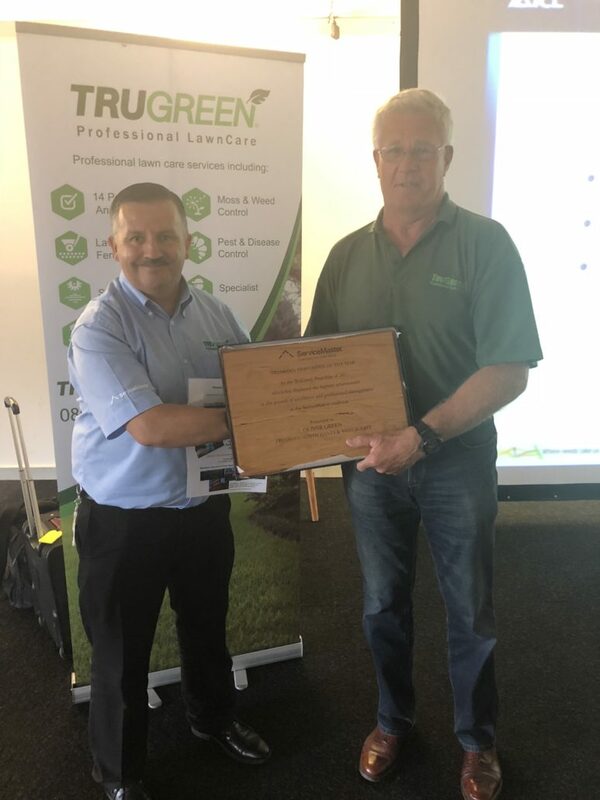 Andrew Jack has undergone significant training with international franchise TruGreen Professional LawnCare, which is a franchise of one of the UK’s leading and largest multi-brand franchisors ServiceMaster, and he is the new owner of TruGreen North East. All new TruGreen franchise investors undertake intensive training at the ServiceMaster Franchise Support Centre under the tutelage of TruGreen brand operations manager and former Wembley head groundsman, Steve Welch and the wider ServiceMaster franchise support team. 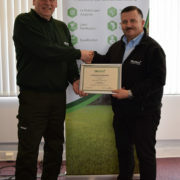 As part of the training, Andrew achieved his City & Guilds NPTC Level 2 Award in the Safe Use of Pesticides (PA1 and PA6), which allows him to provide a professional, accredited and safe service to customers. https://trugreenfranchise.co.uk/wp-content/uploads/2018/04/tg-andrew-jack-academy-2.jpg 1573 1000 Emma Nicholson https://trugreenfranchise.co.uk/wp-content/uploads/2013/04/trugreen_franchise_logo_2.gif Emma Nicholson2018-04-16 09:30:582018-04-16 16:00:25TruGreen North East joins the network! TruGreen Professional LawnCare, one of the UK’s leading lawn care franchises, has been named in the top 100 franchises in the UK, according to a guide by Elite Franchise. 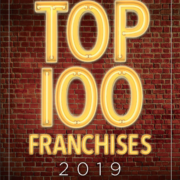 The Elite Franchise 100 recognises the sector’s brightest businesses and ranks them according to a broad range of criteria from their financial performance and heritage in the industry to their contribution to the community and the way they embrace innovation. Ranking applicants from 100 to one, the guide defines the best opportunities in the UK. TruGreen Professional LawnCare featured in 76th place in the guide and was joined by fellow franchise brands under the ServiceMaster franchisor umbrella, ServiceMaster Clean (26), Merry Maids (39) and Rosemary Bookkeeping (90). 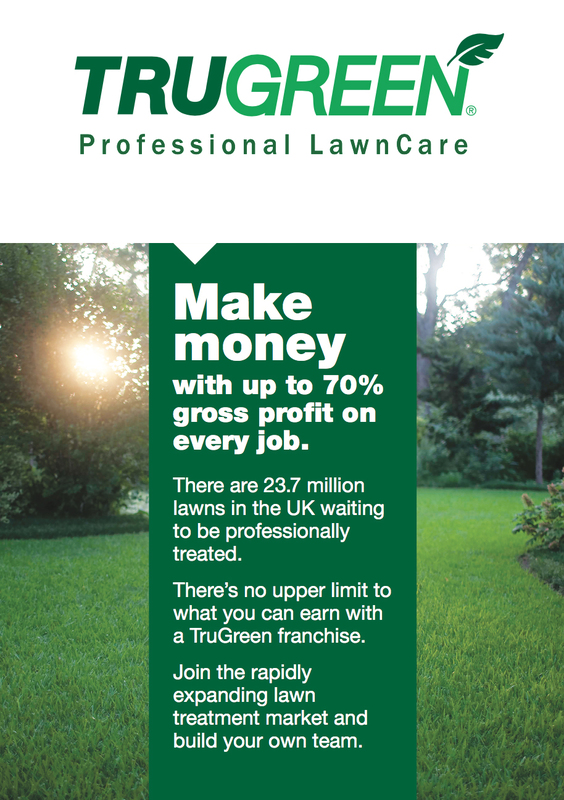 TruGreen Professional LawnCare is a franchise of ServiceMaster, which has over 300 franchisees operating in close to 700 licensed areas under its brands, including ServiceMaster Clean, Furniture Medic, Rosemary Bookkeeping, Merry Maids and TruGreen Professional LawnCare. 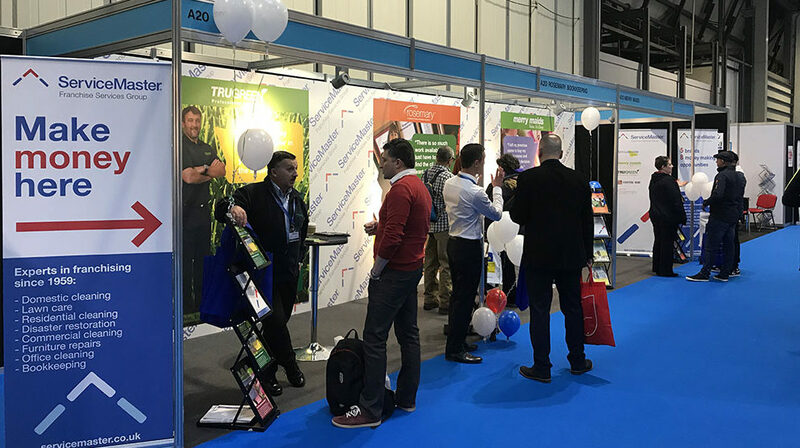 TruGreen Professional LawnCare, one of the UK’s leading domestic cleaning franchises is to exhibit at The National Franchise Exhibition in Birmingham, this autumn. 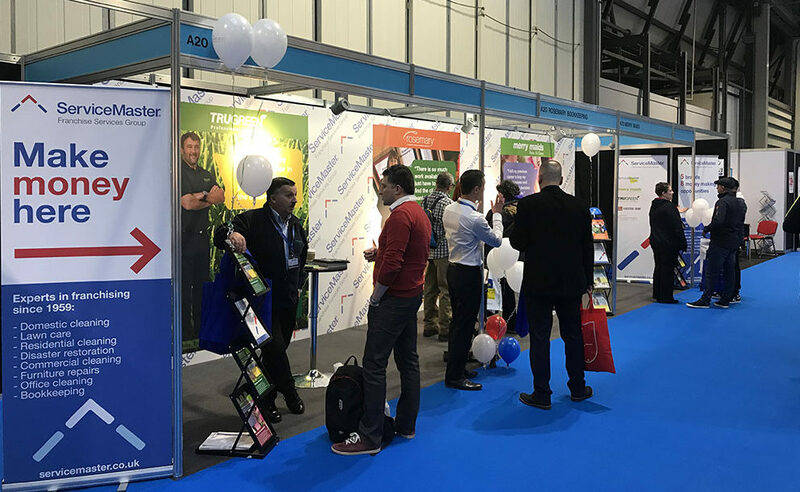 The exhibition takes place on 13th and 14th October at the NEC in Birmingham and is one of the largest franchise exhibitions of the year, with over 100 franchisors on display and thousands of attendees expected over the two days. TruGreen Professional LawnCare is joined by other ServiceMaster brands, Merry Maids and Rosemary Bookkeeping on Stand A20.